Rotary Club of Crook County took to the airwaves on April 1, raising $24,580 for higher education scholarships. "The community really turned out this year for our annual scholarship 'fun-raiser,' Rotary on the Radio," said Rotary Club of Crook County President Ken Fahlgren. "We are very proud of the citizens, businesses and partners of Prineville/Crook County who helped us exceed our initial goal of raising $20,000!" 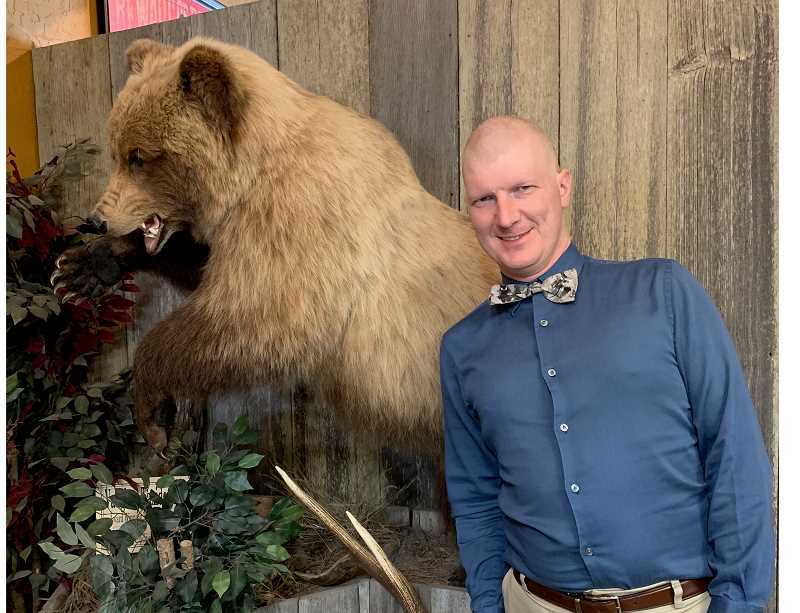 Broadcasting on April Fools' Day from the Bowman Museum, local Rotarians served as DJs on KRCO AM 690/96.9 FM – Country's Greatest Hits with assistance from Horizon Broadcasting Group DJs Dave Clemens and Aiden Clemens. Paid advertisements, challenges, song dedications, donations and a silent auction all raised funds for education scholarships. Donors could pledge online, by phone or in person at Rotary on the Radio headquarters. "It was a fun, creative day, with a few surprises," said Donna Barnes, Rotary on the Radio event coordinator. "We kicked off the morning with the Chamber Perk. Videos of some of our guests are posted on our Facebook page. They really helped keep the buzz and positive energy up all day long." A year ago, the event raised $15,019 and awarded scholarships to nine students. "This is the most we've raised for scholarships during our annual Rotary on the Radio Fun-raiser," said Rotarian Stacey Forson, who took a turn at the mic Monday morning. The proceeds from the event will be awarded in scholarships this year to Crook County students. Scholarships will range from $500 to $3,000, depending on applicants' financial needs, and will be given to high school graduates and college students who graduated from Crook County and are pursuing college or trade schools. The Pastor Power challenge raised $1,020, so local pastors Mike Wilson, Steve Uffelman and Curtis Zieske had to sing "Jesus Loves the Little Children" on live radio. Crook County Library Director Buzzy Nielsen put his locks on the line for the Love the Locks or Buzz Them Off challenge. Donors paid $820 for their votes to buzz his lovely locks. Voters who loved the locks chipped in $710. Nielsen will donate his fair hair to Children with Hair Loss. 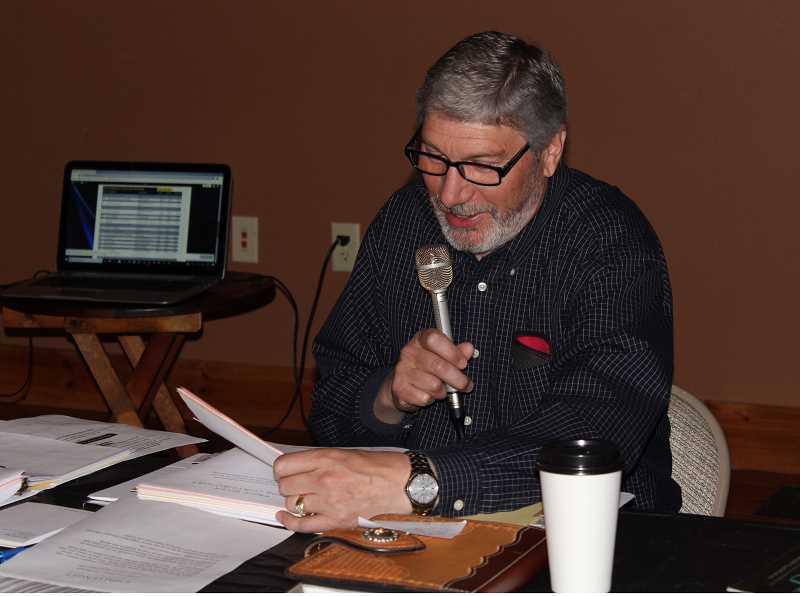 "Crooked River Roundup came in to honor Dan Severance as the 2019 Grand Marshal and donated to Rotary on the Radio," Forson said. 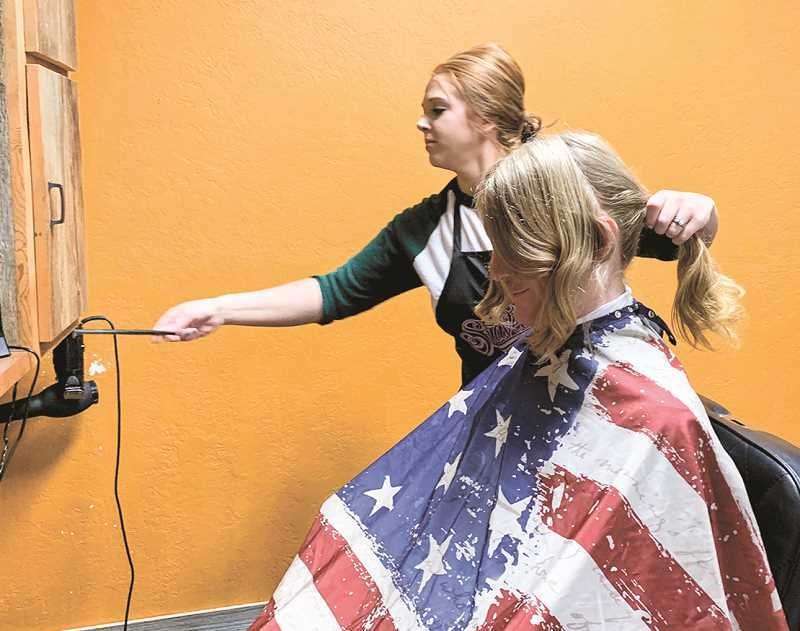 "They challenged both High Desert Stampede and Sisters Rodeo, who in turn made pledges to Rotary on the Radio." The Rotarians entertained their listeners for 12 hours with silly ads, antics and live serenades. Rotarian Gary Goodman broadcast some fake news throughout the day and helped sing the Rotary theme song. A couple of guys from Cooper Electric wrote and performed their own ad live on the radio, and Rotarians accepted a challenge to sing the national anthem. "There are so many people to thank who helped us make this year's event a huge success," Fahlgren said. "Now more of our deserving scholars will get the opportunity to achieve their academic goals because of our community's generosity."